Tomorrow night, Thursday May 23, we’re hosting a special event of innovative electronica from four different acts. We’d love to see you there, but if you’re not sure what you’re letting yourself in for, here’s a quick rundown of what it’s all about. Comoros are duo from Philadelphia known for their drone riffs. Drone music (or dronology) is exactly what it sounds like: Long, slow, sustained notes. Some think of bagpipes when they think of droning music, but more contemporary examples include Velvet Underground, the shoegaze genre, and bands such as Sunn O))) and My Bloody Valentine. Expect loud electric harmonies that linger, and lull you into a false sense of security. Crank Sturgeon is almost a whole unique genre in of himself. He’s been performing concept sound art since the 90s, and has toured the world with installations and semi-comedic performances. Crank Sturgeon once said “I love collaboration that derives from a shared sense of playfulness. I’m talking about serious play that channels childish impulses through adult goggles and pairs anarchistic tendencies with formalism or the rules we adopt as artists.” Be prepared for something fun and unusual, with some wild synthesized sounds. PCRV/Matt Taggart: Influenced by death metal and the Fluxus movement, PCRV has performed across the US using everything from origami to yarn and duct tape to create task based performances and the brutal sounds he’s known for. Fluxus comes from, you guessed it, the word flux, and is a genre that combines different artforms, drawing links between different found objects and themes. The results from PCRV are a fascinating mix of somewhat familiar sounds presented in new and unexpected ways. And finally, Electricity for Progress will be harnessing the sounds of nature in a truly innovative style: Electronic devices will translate the movements and rhythms of plant life into synthesized sounds. Electricity for Progress conduct all sorts of fun experiments which can be explored on their blog. Last month, a ‘Plant Sonification’ workshop at Philly’s Bartram’s Garden allowed guests to see just how plants’ metabolic processes can be harnessed and turned into digital data, and in turn, into electronic music. The event was even caught by MTV Brazil. 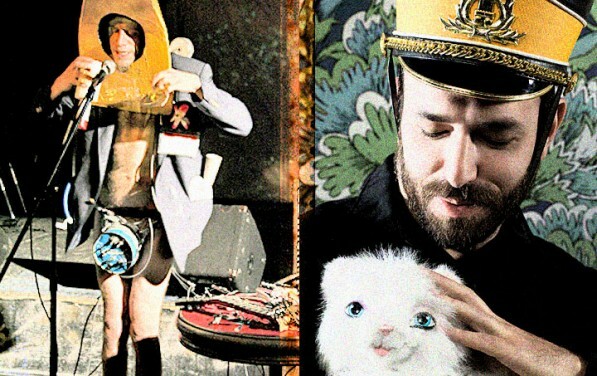 The evening looks shaped up to be a fascinating, noisy, and electronic experience! Be sure to check out more and RSVP on Facebook. Thursday May 23 from 8pm, General admission $5-10. This week we’re making a lot of noise in Rittenhouse Square, with two separate evenings of music for you to come along to and enjoy: CaveCast 7 on Wednesday May 22, and something a little bit experimental and a lot electric, on Thursday May 23. On Wednesday May 22 our seventh installment of our CaveCast series will be exploring the music and myths of those sultans of surf-pop, the Beach Boys. Whether you’re a bona fide Beach Boy buff, or you don’t know your Surfin’ USA from your Surfin’ Safari, our resident host Brian Cassidy, along with guest Devon McReynolds, will give you the lowdown on Surf’s Up. 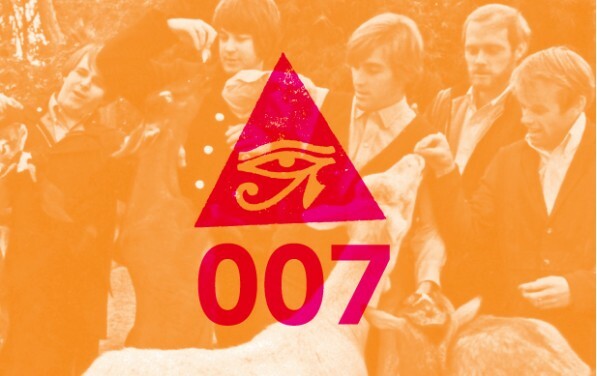 God Only Knows, this special CaveCast will give you Good Vibrations. For more info and to RSVP, click over to the Facebook event. May 22 from 9pm. Suggested Donation: $5. The next night, Thursday May 23, is a little different. We’re very excited to present to you a night of experimental electronica. It’s going to be an evening like you’ve never seen, or heard before. May 23rd from 8pm. General Admission: $5-10. Categories: Philadelphia, Philly, Rittenhouse Square, Uncategorized | Tags: Beach Boys, CaveCast, Crank Sturgeon, electronic, music, PCRV | Permalink. Lithuania’s population may be smaller than the population of the Philadelphia Metropolitan area (3.2million compared with Philly Metro’s 5.9million) but very soon it’s taking a crucial place under the spotlight of the world stage. On June 1st Lithuania takes over the EU’s rotating Presidency… but more importantly, it’s taken over the second floor at the Philadelphia Art Alliance! Last week was our opening for LTextile, an exhibition of modern Lithuanian textile pieces created by eight contemporary artists from this Baltic Sea nation. 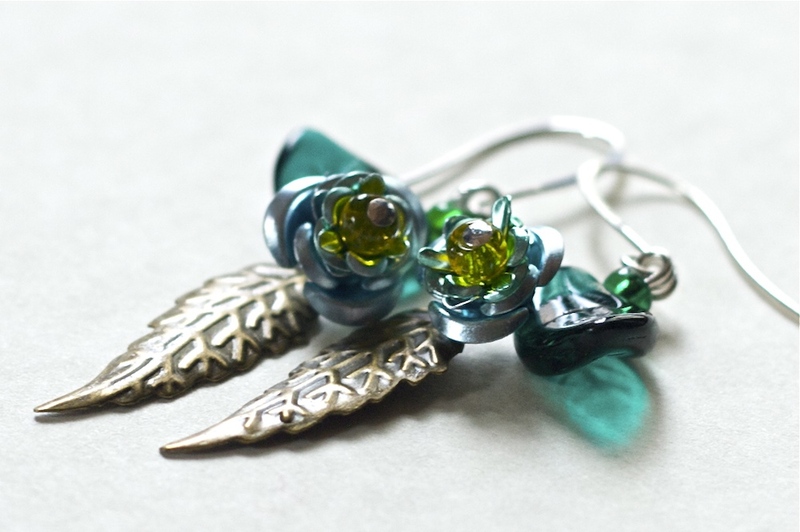 And the pieces are stunning, if we may say so ourselves. They’re vibrant, whimsical, incredibly intricate, and give us a glimpse of Lithuania’s history and culture: From embroidered milk pails and governmental forms doodled with fine tapestry, to a fully felted dinner feast. But please don’t just take our word for it: The exhibition is open Tuesday – Sunday from now until August 18th. Categories: Art, Arts, Craft, Exhibitions, Philadelphia, Philly, Rittenhouse Square, Uncategorized | Tags: Lithuania, LTextile | Permalink. Where have you read about the Art Alliance this week? The past few weeks have been all a buzz with excitement, so here’s a whirlwind look at some of our latest press coverage. Philly Mag’s Hugh E Dillon photographed some of the esteemed guests at our fabulous fundraiser, Spring at the Mansion, last week, as did Glamorosi – be sure to check them out. Shannon Rooney, also from Philly Mag, outlined some of the renovation projects we hope to embark on from our fundraising efforts. 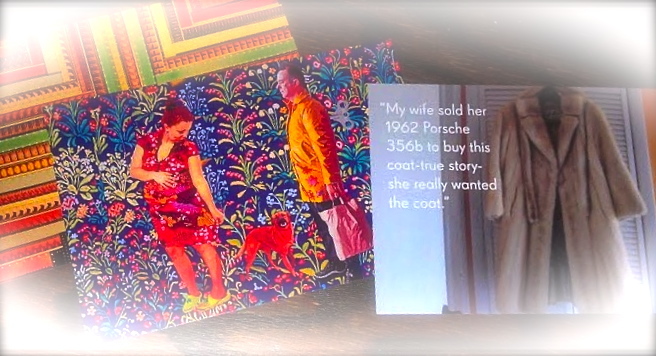 Rittenhouse Square’s Philadelphia Art Alliance presents a world premiere — and totally genius — exhibition, “Emily Spivack: Sentimental Value,” in which the artist displays items she won on eBay with their intriguing backstories and sellers’ anecdotes (251 S. 18th St., philartalliance.org). In April, Rittenhouse Park itself became a permanent, interactive installation via the 99-cent iPhone app “The Empty Air,” which uses GPS to trigger musician Michael Kiley’s textured sound designs and an original song. …a treasure trove of sartorial history, personality and heartfelt writing. And in May, a collection of garments that she’s purchased will be exhibited in her first solo show at the Philadelphia Art Alliance. The exhibition and website and website are organized so that the eBay sellers’ original descriptions are displayed alongside the articles of clothing, recreating the experience of finding them online (read the full interview here). There’s been some great anticipation for our new Summer exhibitions which open next week, and we can’t wait to unveil them! Categories: Art, Arts, News, Philadelphia, Philly, Rittenhouse Square | Tags: Emily Spivack, Spring at the Mansion, The Empty Air | Permalink. 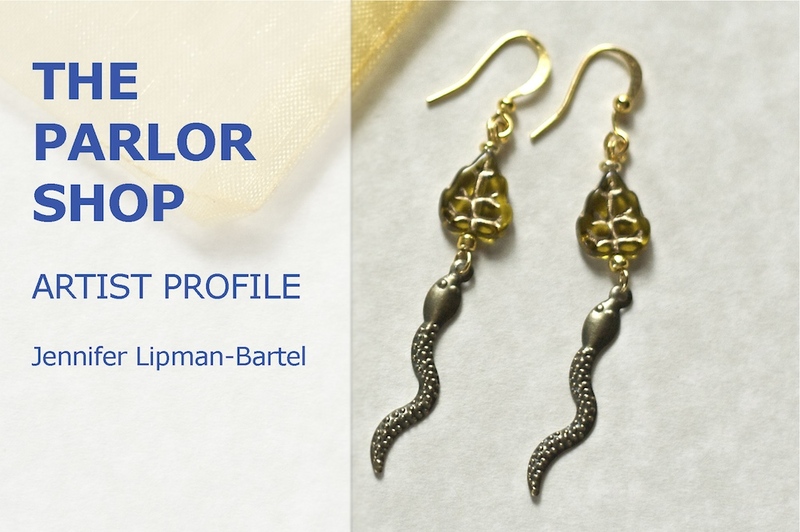 Announcing the Parlor Shop at the Philadelphia Art Alliance! We teased you last month with this news, and now we’re proud to announce the grand opening of the Philadelphia Art Alliance’s new shop: The Parlor Shop. The Parlor Shop is on the first floor of the Philadelphia Art Alliance, just to the right of the entrance. This room, formerly known as the Wetherill Room, used to be a Parlor back when the building was the Rittenhouse residence of the Wetherill family at the turn of the 20th Century. Now it’s the perfect spot to browse and pick up some beautiful locally crafted gifts, including fine ceramics, handmade jewelry, and unique soft furnishings. The shop is volunteer-led, and proceeds from sales go to the artists and crafters, with some support going to back into the Art Alliance. This allows us to continue our excellent programs here in Philadelphia’s French Quarter. If you like contemporary arts and crafts, and love buying locally made artisan products… well that’s just another reason to visit us in our beautiful mansion space, isn’t it? 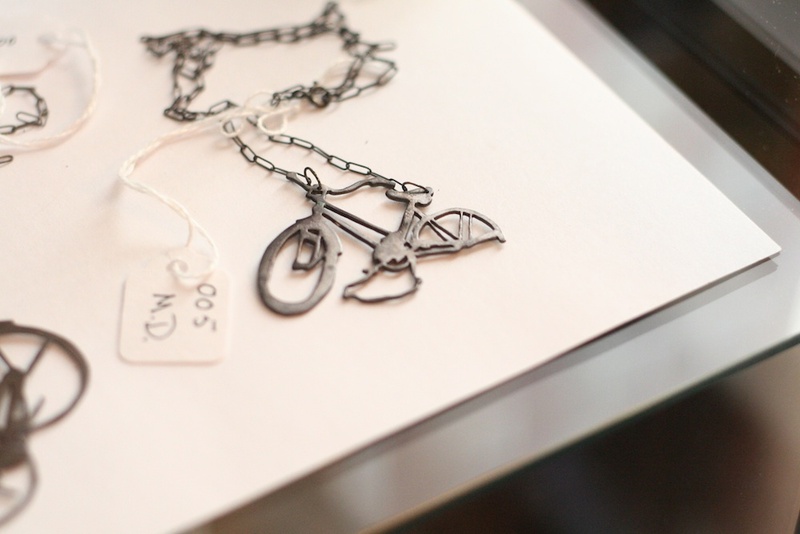 The Parlor Shop is open regularly Thursdays through Sundays, 12-5pm. We’re having an Open House reception next week, on Thursday May 16th, 5-7pm. You can get more details and RSVP on Facebook. Categories: Art, Arts, Craft, Philadelphia, Philly, Rittenhouse Square | Tags: parlor shop, rittenhouse shopping | Permalink. 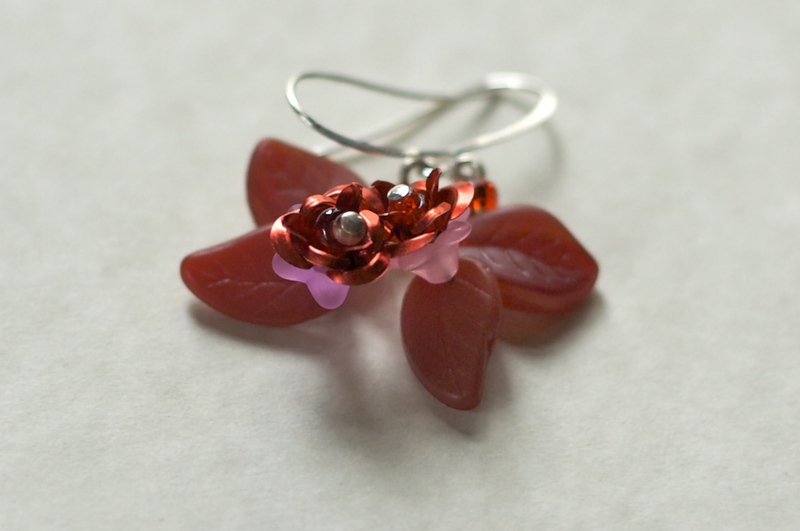 Summer’s going to be bright and beautiful here at the Art Alliance! We are absolutely thrilled to give you a glance at our upcoming summer exhibitions, opening May 17th here at the Philadelphia Art Alliance. Each exhibition takes innovative and surprising twists on the theme of textiles, exploring their craft, form and their sentimental value. What stories live inside your closet? Emily Spivack’s Sentimental Value finds stories and narratives in unusual places: eBay listings. Spivack explores the emotive and sometimes very personal histories of ordinary (and some extraordinary) objects that find themselves for sale on the famous website. This show provides a fascinating insight into what clothing and personal objects mean to us, both financially and emotionally. 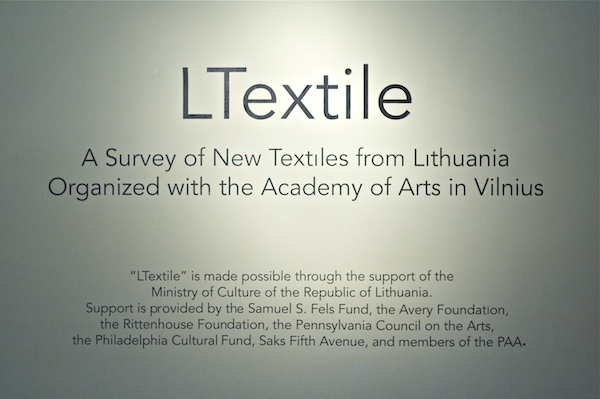 LTextile is “a survey of New Textiles from Lithuania” organized with the Academy of Arts in Vilnius. 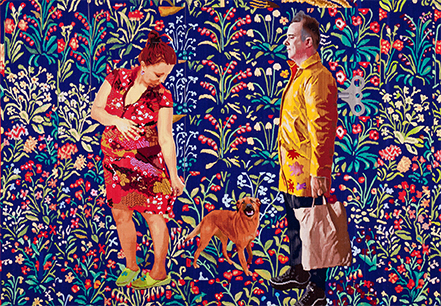 Eight contemporary and award-winning artists will capture the history of Lithuanian textiles. The history is as vibrant as the textiles themselves, depicting an era of traditional patterns inspired by nature, Soviet restrictions on art and expression, and the creative outpouring since restrictions were loosened in the 1990s. The exhibition will reflect the past, as well as weave a new future for Lithuanian textiles. Do you know what links old fashioned quilts and old fashioned movies? Sabrina Gschwandtner’s Sunshine and Shadow is a thought-provoking combination of the art of quilt-making and the art of film-making. Her stunning quilts are made from old 16mm films to create backlit wall-hangings filled with color and detail. These pieces are imbued with the histories of both artforms and the women who made them…all of which are surprisingly intertwined (see more here). You’ll be pleasantly surprised by these colorful, inspiring shows, which open on May 17th and run until August 18th 2013. Categories: Art, Craft, Exhibitions, Philadelphia, Philly, Rittenhouse Square | Tags: eBay, Emily Spivack, Lithuania, Philadelphia Art Alliance, quilt-making, Sabrina Gschwandtner, textiles | Permalink.